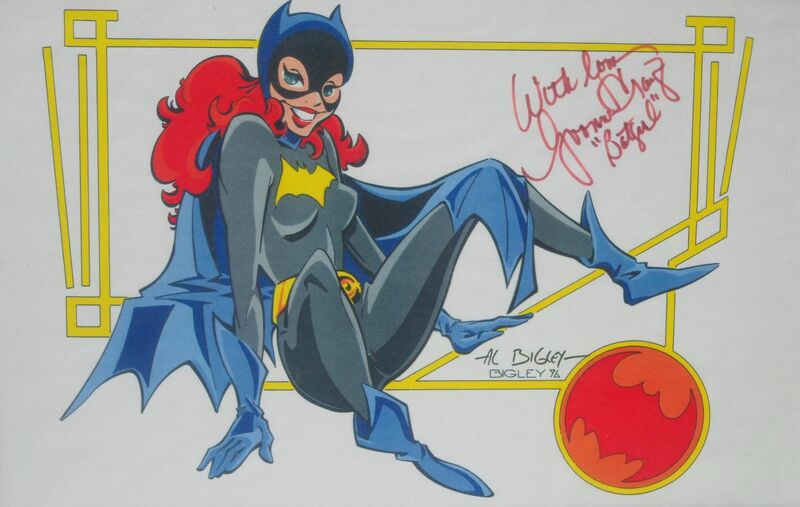 A beautiful art print signed by actress, Yvonne Craig as Batgirl. As well as signed by DC comic artist, Al Bigley. Art measures 17x11 inches.